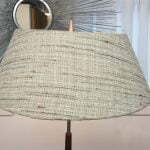 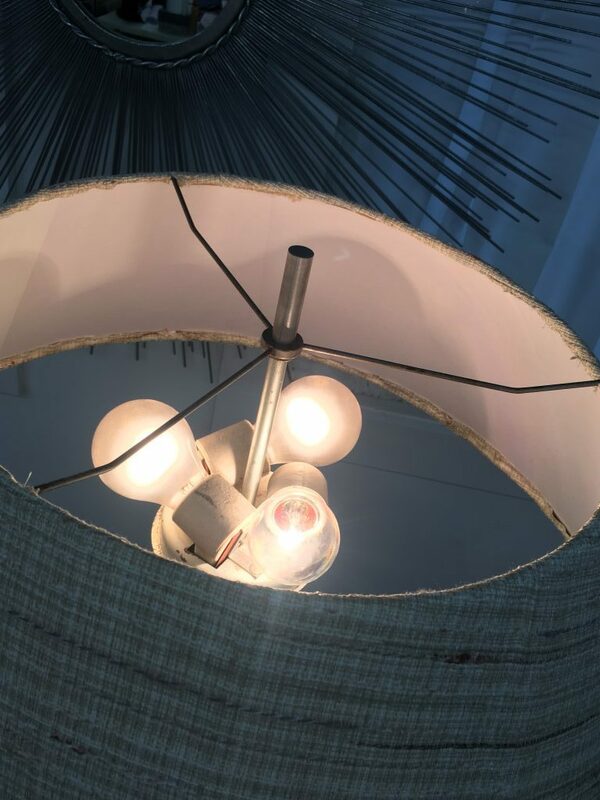 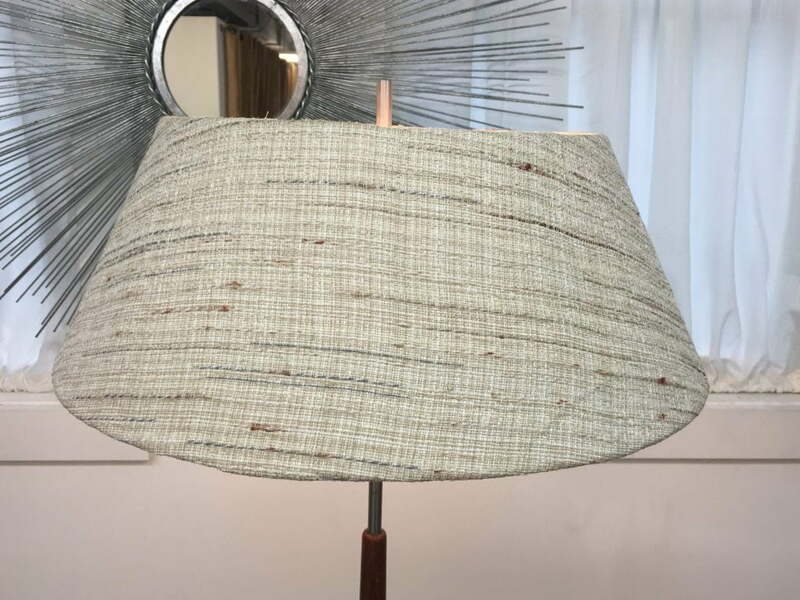 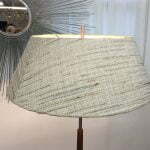 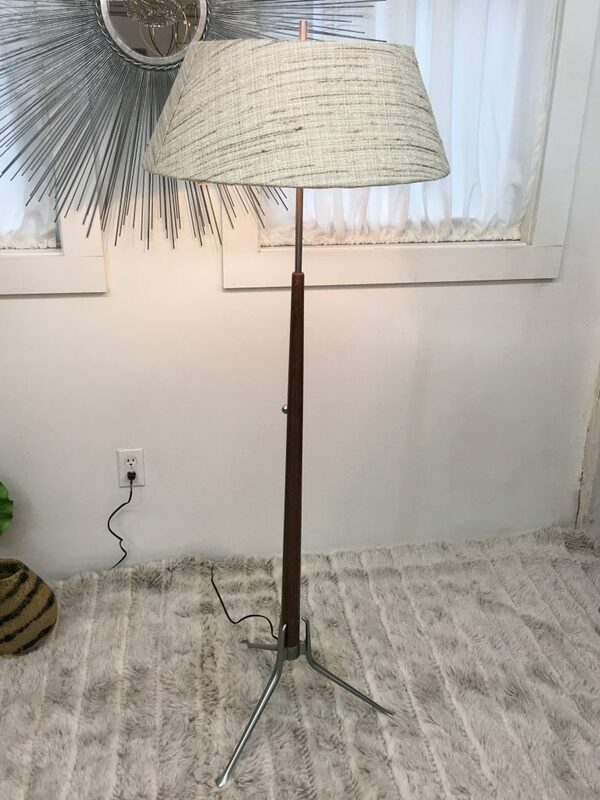 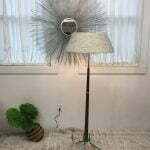 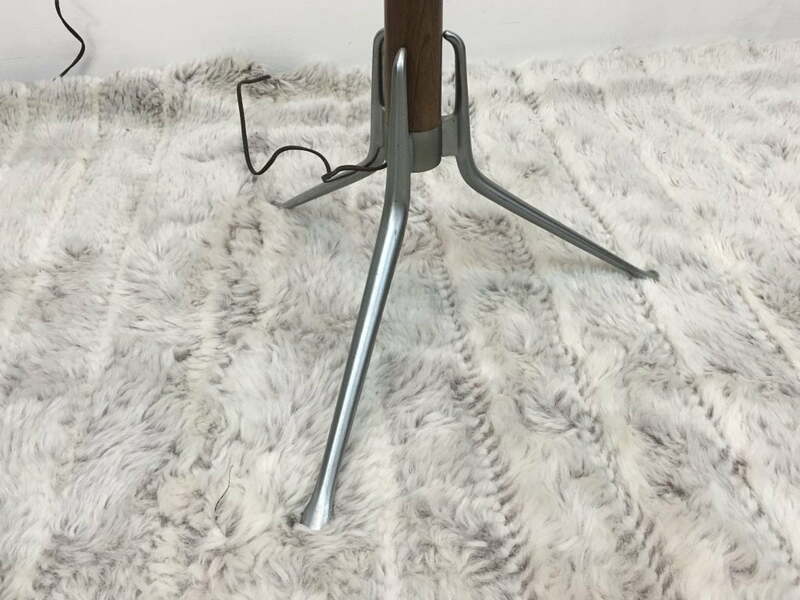 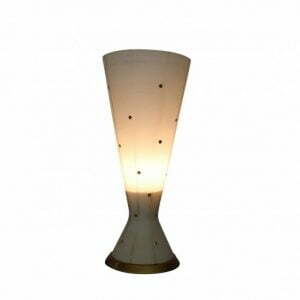 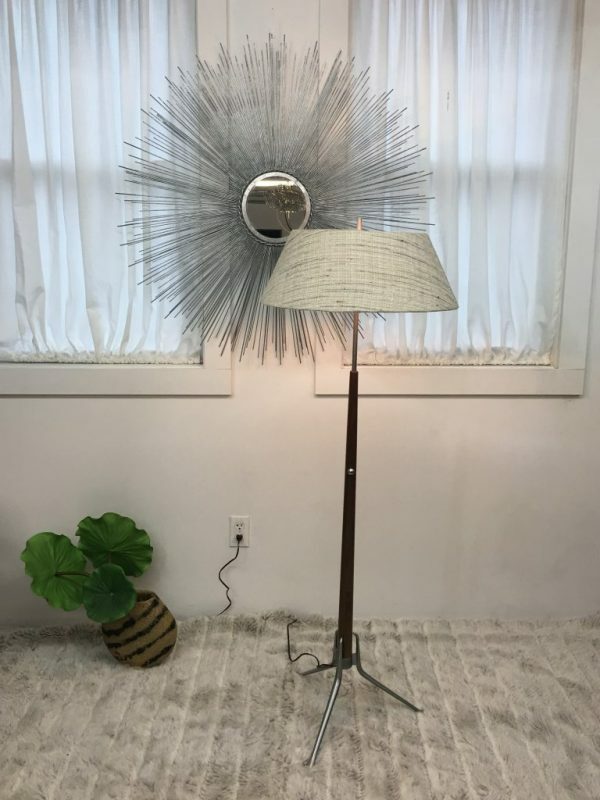 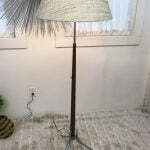 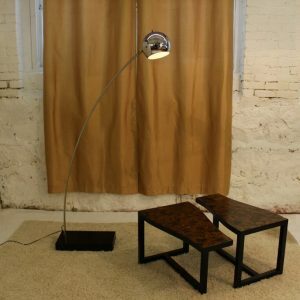 This beautiful Gerald Thurston floor lamp for Lightolier. 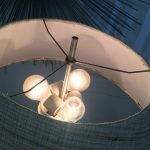 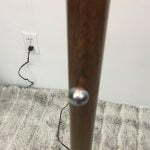 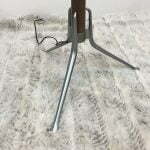 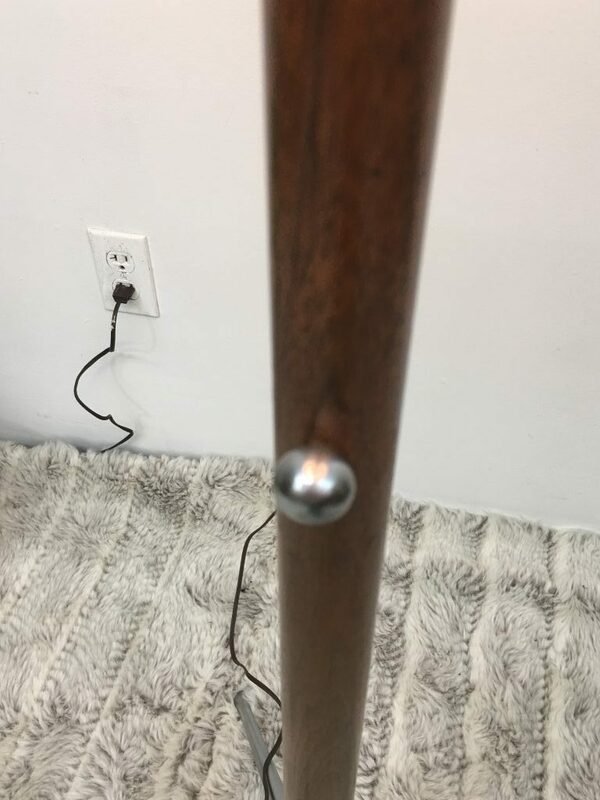 It features a walnut stem, the tripod base is made of metal, just as it is the round middle button and the stem that holds the socket and shade. 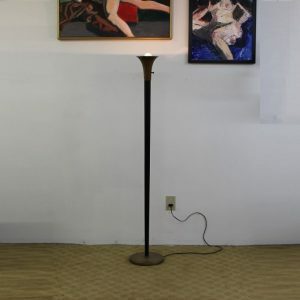 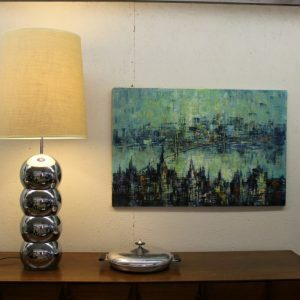 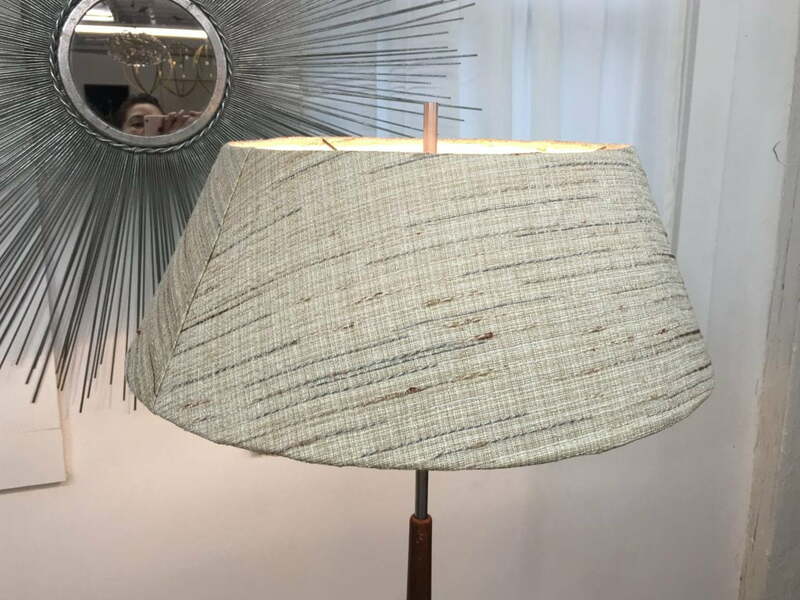 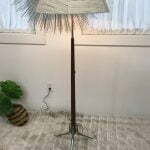 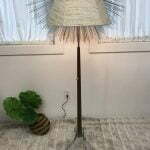 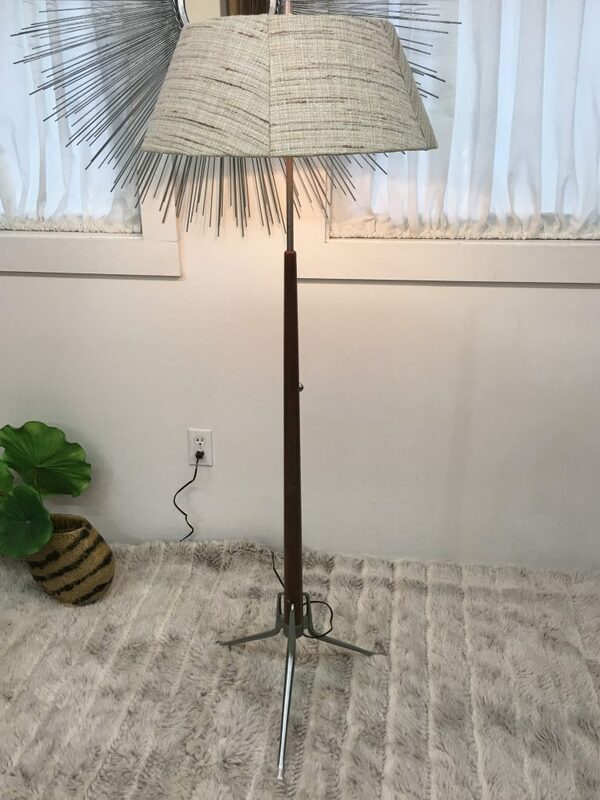 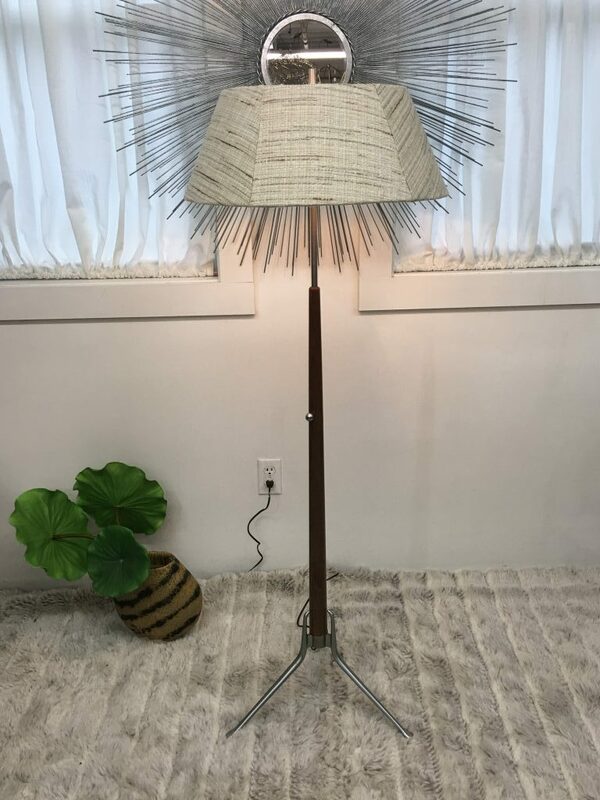 This beautiful floor lamp measures 57″ to the finial and the shade is 20″ wide at the bottom x 8″ high x 13″ wide at the top.